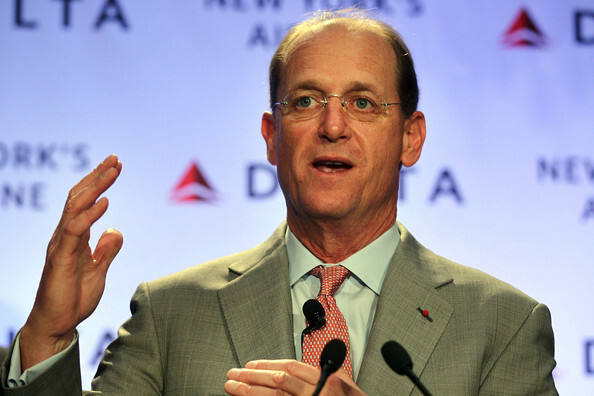 Delta Air Lines CEO Richard Anderson said Friday he objects to the federal Transportation Security Administration’s move this week to allow small pocketknives on airplanes. “These items have been banned for more than 11 years and will add little value to the customer security process flow in relation to the additional risk for our cabin staff and customers,” Anderson said in a letter to the head of the TSA. TSA Administrator John Pistole said the move brings the United States into alignment with international rules and are keeping with his “risk-based security” approach. Under the new rules, knives with blades no longer than 2.36 inches (6 centimeters) and less than a half-inch wide will be allowed in airline cabins as long as the blade is retractable and does not lock into place. Razorblades and box cutters are still prohibited. The rules also allow passengers to carry two golf clubs, toy bats or other sports sticks — such as ski poles, hockey sticks, lacrosse sticks and pool cues — aboard in carry-on luggage. Kip Hawley, who oversaw the TSA from 2005 to 2009, said the search for knives interferes with the search for objects such as bombs and toxins that can threaten aircraft. But others have sharply criticized the change, which was announced this week. They include the Flight Attendants Union Coalition, a nearly 90,000-member group that has launched a campaign to reverse the TSA’s decision. Former flight attendant Tiffany Hawk is “stupefied” by the move, “especially since the process that turns checkpoints into maddening logjams — removing shoes, liquids and computers — remains unchanged,” she wrote in an opinion column for CNN.